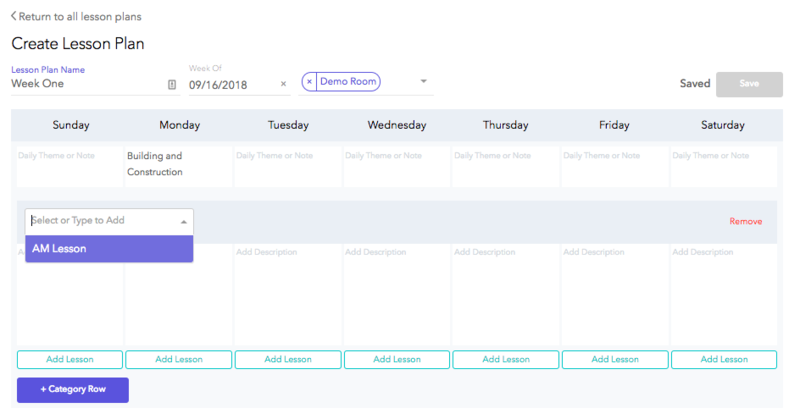 With brightwheel's simple Lesson Planning tool you can create custom curriculum and activity plans that can be assigned to one or multiple Rooms. Make changes quickly and easily, or re-use the lesson plans each year - it's up to you! 4. Select the week you would like to schedule the lesson plan to, as well as the Room or Rooms the plan applies to. Note: These are the rooms that will be able to View the lesson plan from their mobile device. 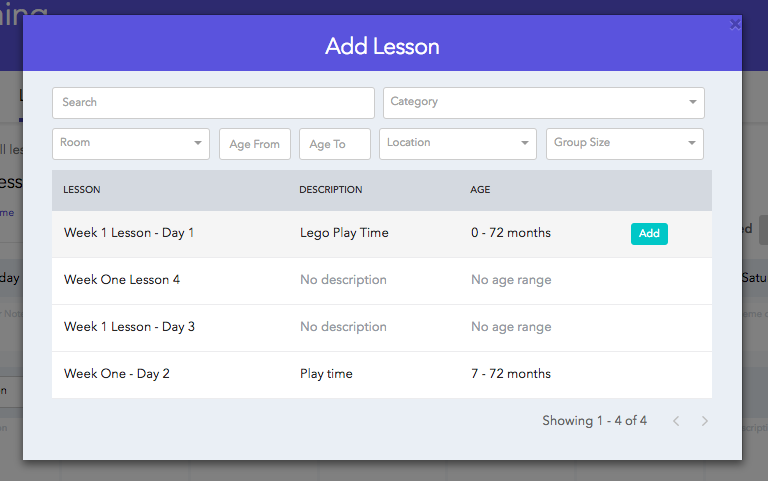 Pro Tip: Category rows can be used to organize lessons into times of the day, or developmental domains, depending on each classroom or program's needs. That's it! All of your edits are saved as you go, or you can select Save Lesson Plan at the top of the template. You can also add a brief weekly note for your staff at the bottom of the week's lesson plan. Please Note: Each room can only have one lesson plan added to them per week. Once your Lesson Plans are created, you can make changes anytime from the web. Simply navigate back to "All Lesson Plans" to view a list of what you have created. 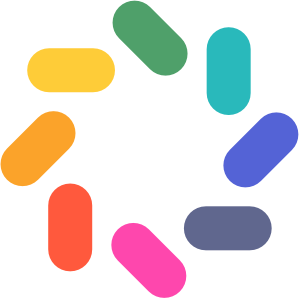 Click on the name of the plan to open the template and make changes. To Delete a lesson plan, scroll to the bottom of the plan and click Delete Lesson Plan. Note that this action cannot be undone. In order to delete a category from your lesson plan, make sure that all lessons have been removed from that category first. Once your Lesson Plans are created, you have the option to print them. Simply navigate to "All Lesson Plans" to view a list of what you have created. Select the plan you wish to print, and click the print button located on the top right. Can I see Lesson Plans on my mobile device?